Use the following diagram to connect your Digital Motion Sensor. Connect 5V power from the Pi Cobbler to the Motion sensor. Connect the Motion Sensor to one of the GPIO pins on the Pi Cobbler, GPIO 17 in this case. 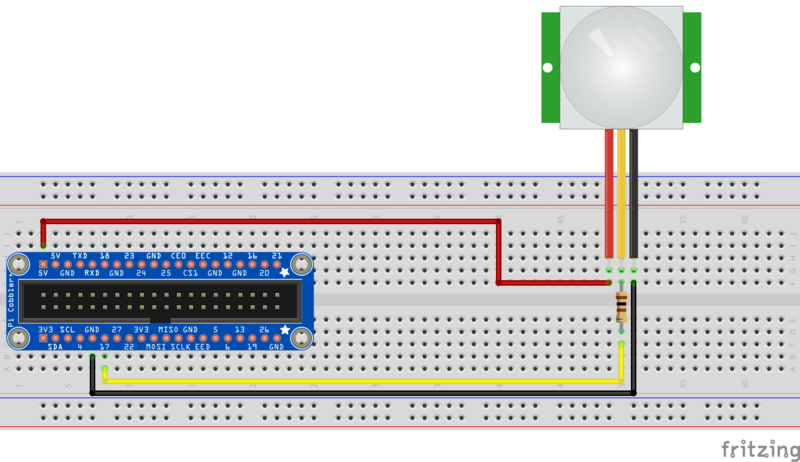 Be sure to connect a resistor between the GPIO pin and the motion sensor. Connect ground from the Pi Cobbler to the Motion sensor. 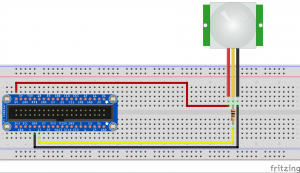 when you’re done,you can add the Digital Motion sensor to your dashboard as following instruction, using GPIO 17 as the input channel.